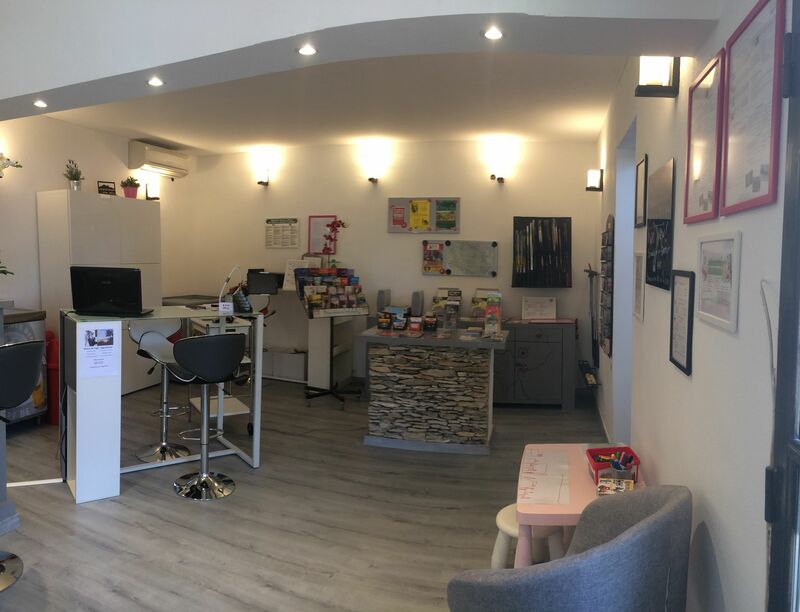 To facilitate your stay, the campsite Les Verguettes offers convenient services. Open from 8:30 am to 12:00 pm and from 2:00 pm to 7:00 pm in May and September. Open from 8:00 am to 1:00 pm and from 2:00 pm to 7:00 pm in June, July and August. 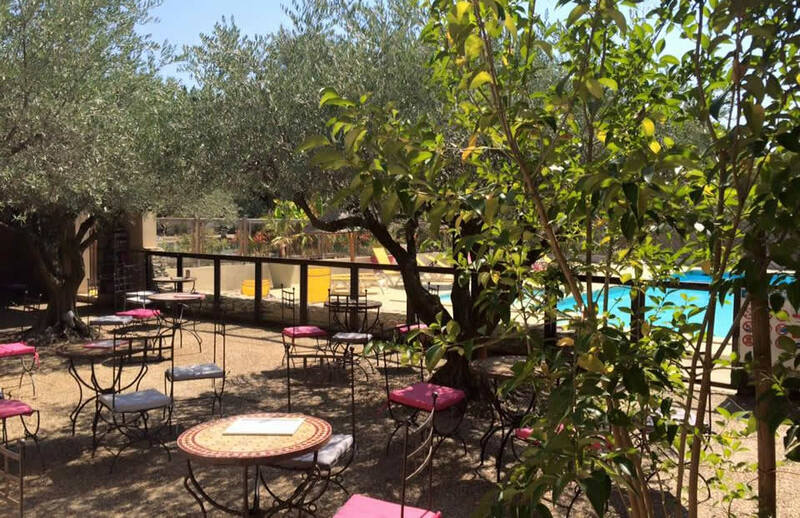 Bar on the terrace under the olive trees. Heated swimming pool open from May to September. Loan of equipment for sports activities on the campsite (rackets, balls, golf clubs). Bread and pastries can be ordered for breakfast (May to September). Restaurant service & Snack in the evening (July and August). Pizza truck and discovery of the flavors of Provence (once a week, from June to August). WiFi available in all the campsite. WiFi cards on sale at reception. . There are 30 minutes free per day and per person on the patio near the bar. Various animations depending on demand (dance evenings, themed restaurant …). 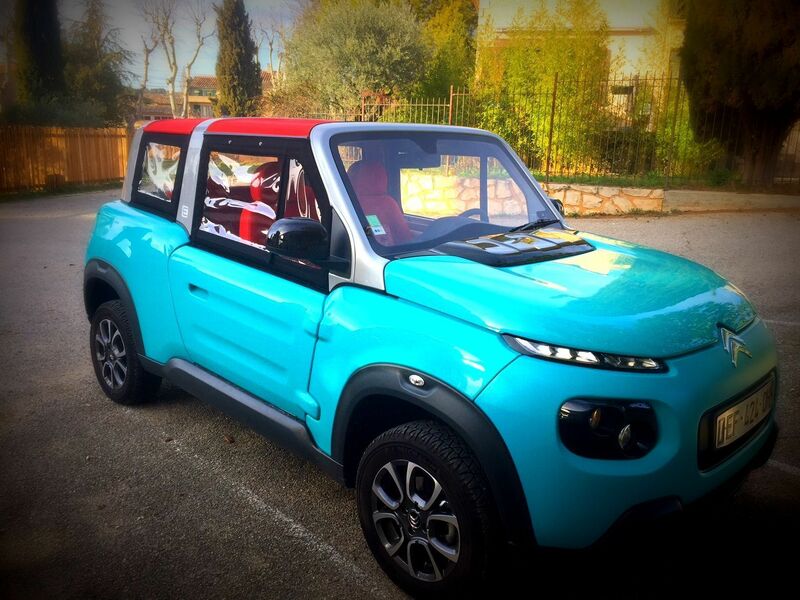 Discover Vaucluse with serenity, the sound of cicadas and hair in the wind! We offer to rent, at the campsite, an electric car “Citroën E-Mehari” convertible, with an autonomy of about 150 km. The rental is 40 € per day for holidaymakers staying at Camping Les Verguettes and 50 € per day for people outside the campsite. The reduction of 10 € is applied on the invoice of your stay at the camp-site. 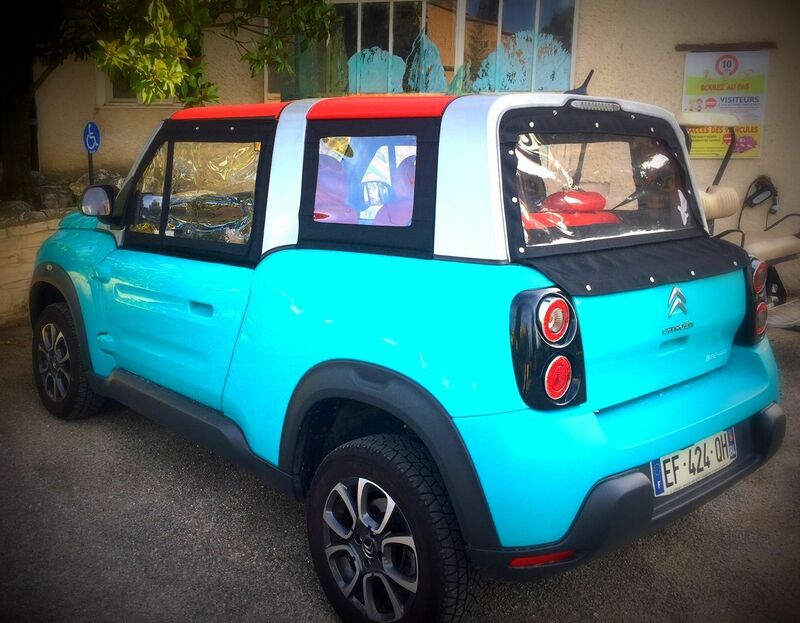 Note that, to rent this car, you need to pay with a VISA, MASTERCARD or VISA-Electron card. To secure the payment, the system 3D Secure is used (with some banks, you need an “authentification equipment” to receive the 3D-Secure’s code and to validate your payment). Looking forward to introducing this new service 2018! Escape to Mont Ventoux, in the ocher and stone paths of our beautiful region! 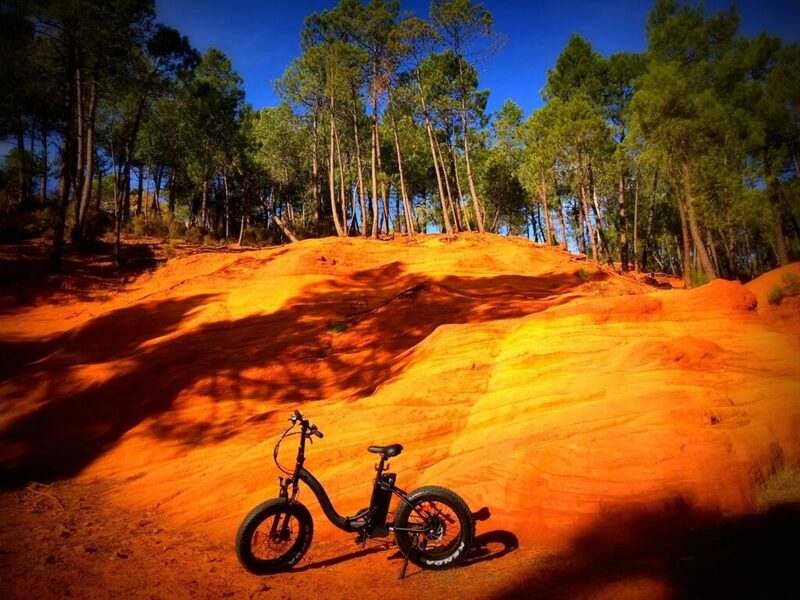 We offer the rental of two electric bicycles Fat Bike, at the price of € 5 per hour. Thanks to their wide tires, these “Fat Bike” bikes allow you to ride on sand, stones, dirt as easily as on the road. Many paths are accessible from the campsite and adapted slopes are proposed in Mont Ventoux. Do not hesitate to ask for advice at the reception. 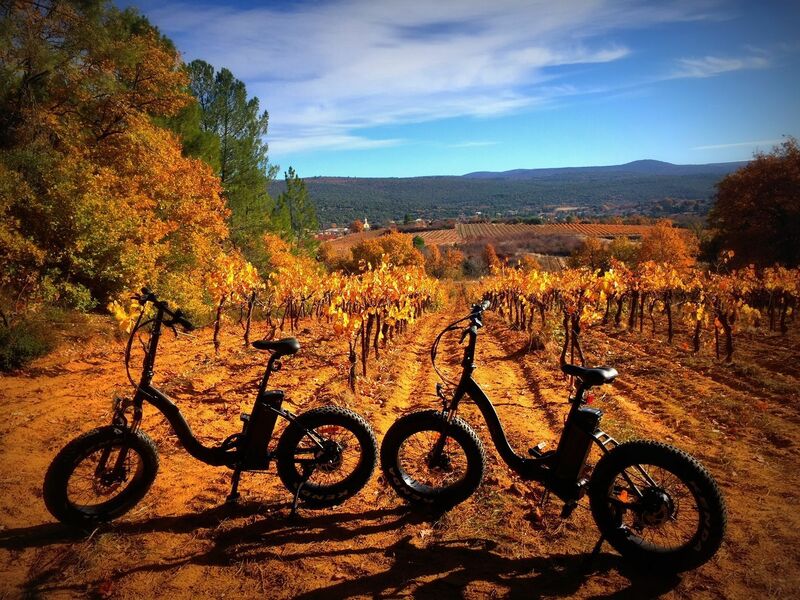 In partnership with the campsite, the Terraventoux winery rents electric road bikes to stroll along the vineyards and in the county roads. Bike rides based on wine are offered. 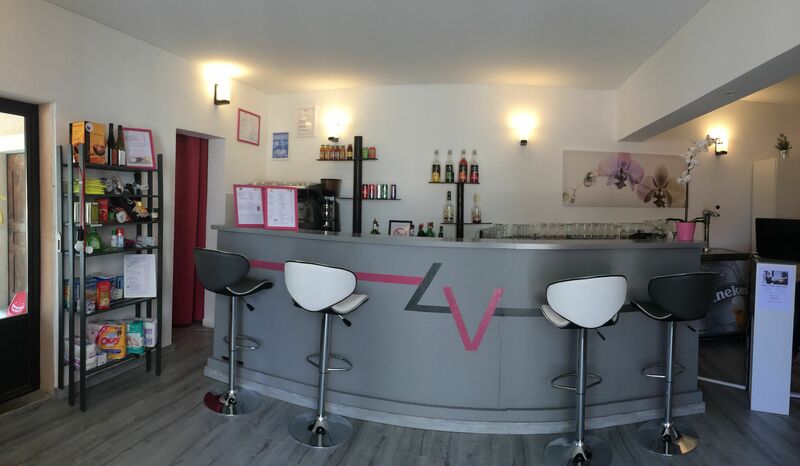 As a vacationer at Les Verguettes campsite, enjoy a free bottle of wine for any rental!